I have a 1602 LCD screen that works fine on its own. However I wanted to free some pins by using an I2C / IIC LCD controller I purchased separately. While the controller seems to be communicating with my Arduino UNO on the right address, I cannot get text to display. By default (no code) it seems the LCD will have 1 line of 16 solid "squares". When using address 27 in my code, the LCD will change to 2 lines of 16 squares (see photo below). The code also calls for the backlight to flash 3 times, which works. However I cannot get anything but 2 lines of squares. (Full code is at the bottom of this question). I'm using the LiquidCrystal_I2C library by F Malpartida, which seems to be commonly used. Is there a better library I should be using? To further confuse me, the pins on the LCD board start with 1 on the left, yet the default code's pins seem to start with 0! So I tried changing the code's pins to the numbers on the LCD board. The LCD no longer changes to 2 lines of squares and no longer blinks the backlight. I then tried subtracting 1 from each pin (to start from 0), same result. I then tried used the default pins minus 1, same result. Thus the default pins are somehow more correct?! What am I doing wrong? Has anyone else gotten one of these I2C controllers to work for them, and if so, how? Backpack Interface labelled "YwRobot Arduino LCM1602 IIC V1"
I haven't disassembled a female jumper before, so that might not be the issue. However, it seems likely that this could be a cause. Also, you need to adjust the contrast by turning that trimmer (the blue thing that looks kinda like it has a screw in it). LCDs will either display nothing, a washed out version of the text, or blue boxes if the contrast is not set correctly. This is probably the cause. I have the very same problem and I fix it just by changing the address for the LCD 1602A, which is in the tutorials 0x27 but in my device is 0x3F. 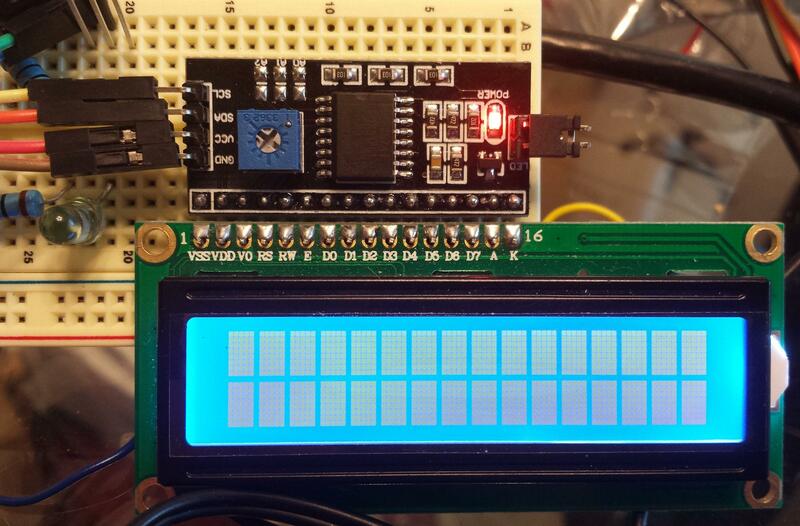 As far as I know, the pull-up resistors should be integrated with the display. Did you try different addresses? I have a similar one, which works on address 0x3F. Maybe this helps. The I2C module D6->P5 is D5->P6 (inverted). Not the answer you're looking for? 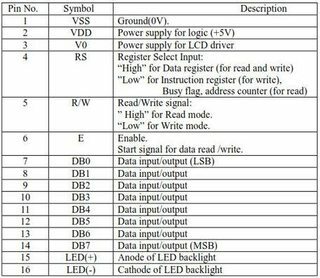 Browse other questions tagged i2c lcd or ask your own question. 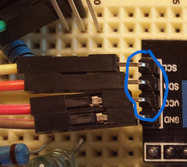 How do I use two I2C LCDs with 4 pins?